The Teton Sioux are the best known of the Plains Indians. They are depicted in many of the old western cowboy movies and novels. The Teton Sioux are associated with tepees, warbonnets, sign language, shields, and buffalo hunting. The Sioux are also known as the tribe that put up the most resistance to white European expansion. Originally, the Sioux lived along the upper Mississippi River in the states of Minnesota, North and South Dakota, Iowa, and Wisconsin. Then around 1750, four distinctly separate branches of the Sioux began to migrate westward. The largest of these was the Teton Sioux who settled in the Black Hills of western South Dakota. The Yankton and the Yanktoni Sioux settled along the Missouri River. The Santee Sioux located on the Minnesota River and eventually became known as the Eastern Sioux. From the year 1850 to 1890, the Sioux conducted raids and counter-raids against white settlers and the United States Army. In 1851, the Sioux signed a peace treaty. The treaty insured safe passage for settlers on the Oregon Trail. However, the treaty only lasted 3 years. The treaty ended when a Mormon wagon train lost one of its cows. The wagon train reported it stolen to Fort Laramie. 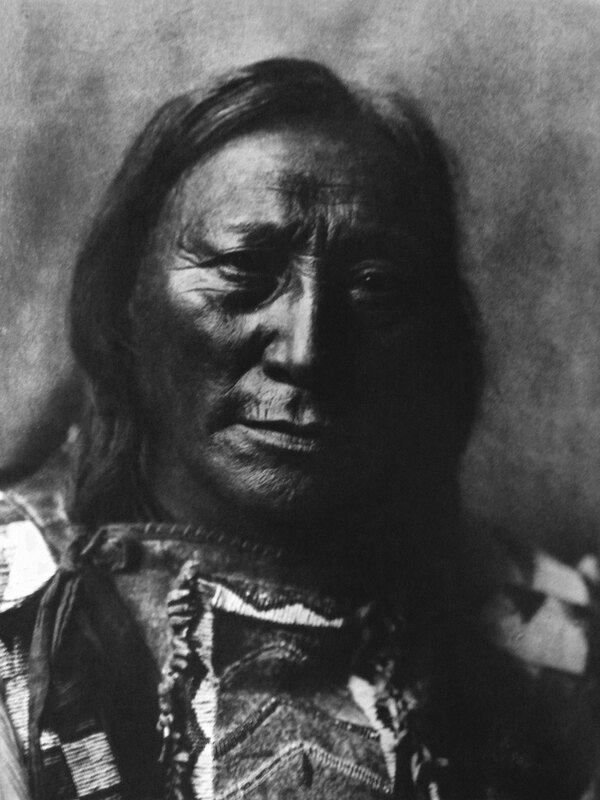 A Sioux Indian named High Forehead admitted that he killed the cow and ate it. When the soldiers arrived the Indians told the commander in charge, Lieutenant John Gratten that they would pay for the cow, but he insisted on arresting High Forehead. He ordered his 30 men to attack, but the Sioux were prepared, and the U.S. Army didn't stand a chance. They were wiped out. Another large skirmish erupted in 1855 in Blue Water, Nebraska, and this time 85 Sioux were killed. The Sioux were now in a full on war with their intruders. During the month of August 1862, Santee Sioux attacked white settlements and trading posts, killing as many as 400 people. The United States Government responded by capturing and hanging 33 Sioux warriors for the slayings of the settlers. This is still the largest mass execution in American history. Gold was discovered in the Black Hills of South Dakota and Wyoming in 1874. At this time, Crazy Horse and Sitting Bull were the leaders of the Sioux. They would soon unite with the Cheyenne against Lieutenant Colonel George Armstrong Custer and the Seventh Cavalry at the Battle of Little Bighorn. Instead, of waiting for reinforcements, Custer ordered his men to attack. This would become one of the greatest defeats in the history of the United States as Custer and 250 of his men never stood a chance. Another well known massacre occurred at Wounded Knee. In 1888, a new religion called the Ghost Dance emerged on the Plains, in the Southwest, and across the Far West. This new religion offered the Native Americans hope. Then, as the Ghost Dance gatherings got larger and larger the military decided to banned them at all reservations. However, the Sioux and other tribes continued to hold them. Finally, General Miles ordered the arrest of Chief Big Foot. Before long, Colonel Forsyth arrived and took command. He and his men ordered the Sioux to set up camp at Wounded Knee Creek and give up their arms. While the soldiers began collecting the arms a gun accidentally discharged. At this time the U.S. Army opened fire with their cannons. Immediately, the Sioux collapsed under the bombardment of heavy artillery. As a result approximately 300 men, women, and children died.